Oklahoma ProStart® are provided many opportunities to get involved; through hours of hands-on training you'll gain invaluable experience at the same time. Participating in our programs is a great way to launch your culinary or management career. If you have questions, contact Chandy Rice at (405) 942-8181 or via email at chandy@okrestaurants.com. Are you currently enrolled or about to enroll in a college hospitality industry program, like Hospitality Management, Hotel and Restaurant Management, or Culinary Arts Education? If so, be sure to apply for the ORA Scholarship, to be used toward the pursuit of undergraduate, master's degree or continuing education at a post-secondary accredited institution. The deadline to apply is February 1, so hurry! Apply for scholarships. We have money to give and we want to give it to you! Odyssey de Culinaire is a fundraising dinner to benefit the Oklahoma ProStart program. The event, which is open to the public, features two elegant evenings of dining - one in Oklahoma City and one in Tulsa. These benefit dinners have a unique spin that creates collaboration among chefs from Oklahoma City and Tulsa. Each group treats the other city to an incredible five-course meal. The chefs are assisted in their meal preparation by high school students who are currently active in ProStart® schools in Oklahoma. Funds raised from the event are used to provide support to students, teachers and schools who are part of Student Programs, including teacher training and development, materials and resources for student recruitment, assistance with job placement for internships, and graduate employment and industry-driven events for hospitality students. ProStart® students are chosen for this event based on involvement in the program and recommendation from teachers. Apply to be considered for participation. You must be available on the date of the event and must be able to be there for prep work the full day. 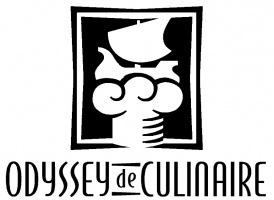 Apply to assist with Odyssey de Culinaire. The Oklahoma Restaurant Association accepts applications for Student Culinary Assistants for the ORA Culinary Cook-off. The application will be available in May 2019. The Culinary Cook-off is a cooking competition that takes place during the Oklahoma Restaurant Convention & Expo. Twelve of the most talented Oklahoma chefs, each paired with a student Culinary Assistant, will race the clock to create dazzling dishes using a mystery basket of ingredients. Chefs compete in various heats until the contest is narrowed down to the last two chefs. Judges consist of a panel of industry professionals who will critique each chef/assistant team on plate presentation, creativity, product taste, and sanitation practices, among other things. Up for grabs are trophies, medals, and cash prizes. Apply to assist with the ORA Culinary Cook-off.